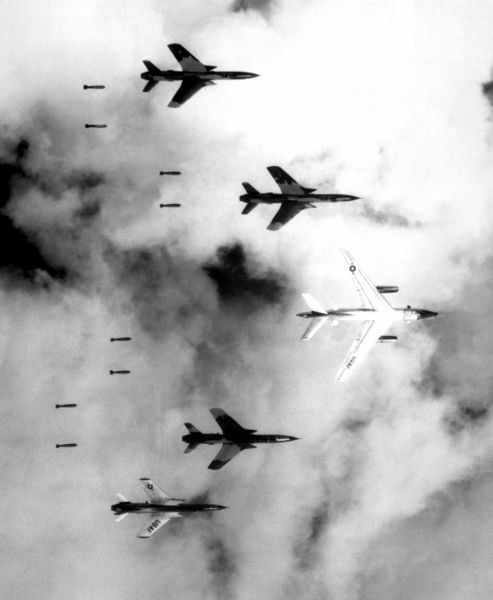 "Flying under radar control with a B-66 Destroyer, Air Force F-105 Thunderchief pilots bomb a military target through low clouds over the southern panhandle of North Viet Nam. June 14, 1966." Lt. Col. Cecil J. Poss, USAF.